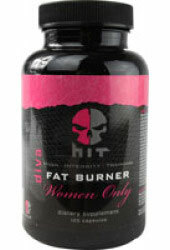 Diva Fat Burner is a female only fat burner made in the USA by Hit Supplements. 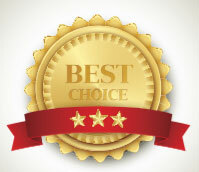 Their website is a little basic, and their choice in product packaging is not the most striking, but the company appears to be of good standing and is not mentioned on any of the internet complaint boards or scam sites. The lack of hype is refreshing, but the fact that Hit fails to say how any of the above benefits are likely to be achieved is not. What is Diva Fat Burner and How Does it Work? Diva Fat Burner appears to be a fat burner that offers a few other fringe benefits, the most useful of which is likely to be appetite suppression because sticking to a calorie controlled diet is hard work and most women will be glad of a little help. Many women may benefit from an extra dose of vitamins and minerals every day and a lot of ladies often suffer from iron deficiency, so iron could be a particularly useful inclusion. Chromium is also a worthwhile inclusion because it can help balance blood sugar levels and reduce cravings for sweet food. The rest of the ingredients are housed in proprietary blends. Brown seaweed and bladderwrack are both believed to encourage healthy thyroid activity. This is can be useful for encouraging weight loss because the thyroid produces hormones that are required for an efficient metabolism. However, garcinia cambogia may be the most valuable inclusion because it provides a chemical called hydroxycitric acid that appears to be able to help suppress the appetite while also preventing the formation of fresh stores of body fat. All of these ingredients are caffeine providers. The only exception is raspberry ketones. Caffeine is a good addition to a metabolism boosting blend because it is a scientifically proven metabolism enhancer, but it is also a stimulant and some people have problem using supplements that contain stimulants. Raspberry ketones has a good reputation as a fat burner and is also believed to provide appetite suppression. However, green tea may be the most valuable inclusion of all because its proven fat burning abilites have a allowed it to become one of the most popular diet pill ingredients in the world and it also contains health boosting antioxidants. The energy blend is somewhat of a disappointment because non of the ingredients are likely to achieve this aim. Bee pollen is sometimes considered to be an appetite suppressant and choline bitrartre is often included in nootropic supplements designed to improve mental function, but it is not generally used as an energy booster. Usage Instructions – For the first two to three days only one capsule per day is required. If no problems arise the dosage can be increased to one capsule, three times per day. 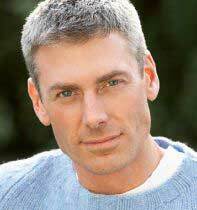 People under 18 years of age are advised to check with a doctor before using Diva Fat Burner. Women who are pregnant or nursing a child are offered the same advice, as are individuals who have existing health problems or are using medication. Hit also point out it may be unwise to use Diva Fat Burner alongside other products that contain caffeine, phenefrine, synephrine, or thyroid boosting compounds. Each bottle of Diva Fat Burner contains 135 capsules and should last for 43 days when taking the maximum dose of three capsules per day. Customers who purchase directly from the manufacturer’s website can expect to pay just under $40 per bottle. Diva Fat Burner is also available from a number of online retailers including Supplement Warehouse and Lucky Vitamin, but Amazon is usually the cheapest option and at the time of this review it was possible to purchase a bottle of Diva Fat Burner for just $22.58. Although Diva Fat Burner contains some good ingredients the quantities involved are not known in the majority of cases and the blend is also diluted with ingredients that have more questionable value. Customer feedback suggest the product works, but only for some people. It is possible that the women who experienced good results may have gained weight due to sluggish thyroid glands. If this is so the bladderwrack and brown seaweed may have rectified the problem and helped them get back on track. Further speculation serves no purpose because the facts remain the same: Diva Fat Burner does not appear to work for everyone, and there is no money back guarantee, so some customers may get lucky while other will just get stung.